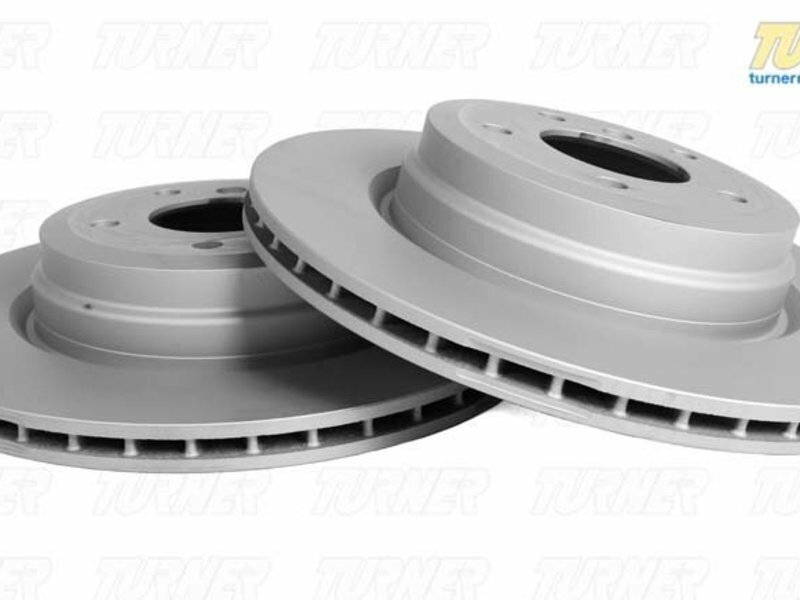 This is a pair (2) front brake rotors/discs for the E32 7 series and E34 5 series.This set includes one front left brake rotor, and one front right brake rotor in a convenient package. Pagid Coated - an OEM type rotor made to the same dimensions and specs as the original design. 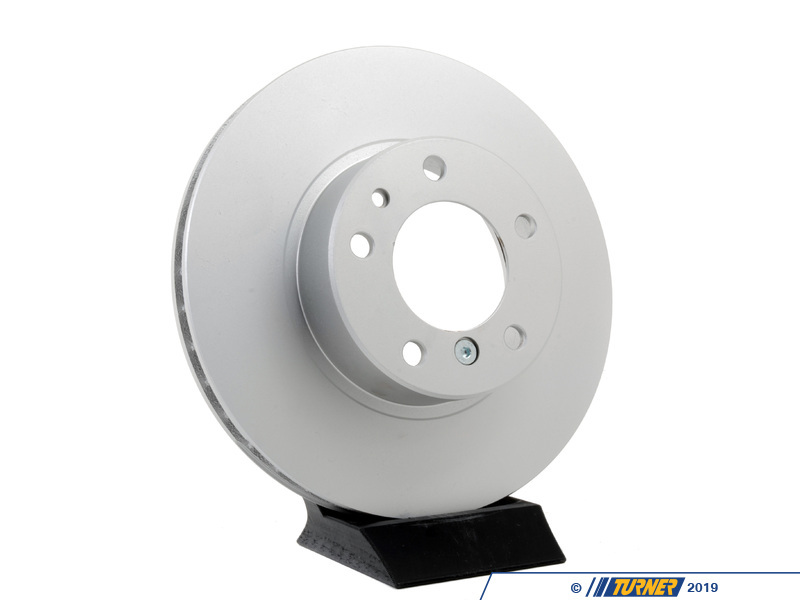 These rotors have a high carbon content for excellent wear and thermal resistance. 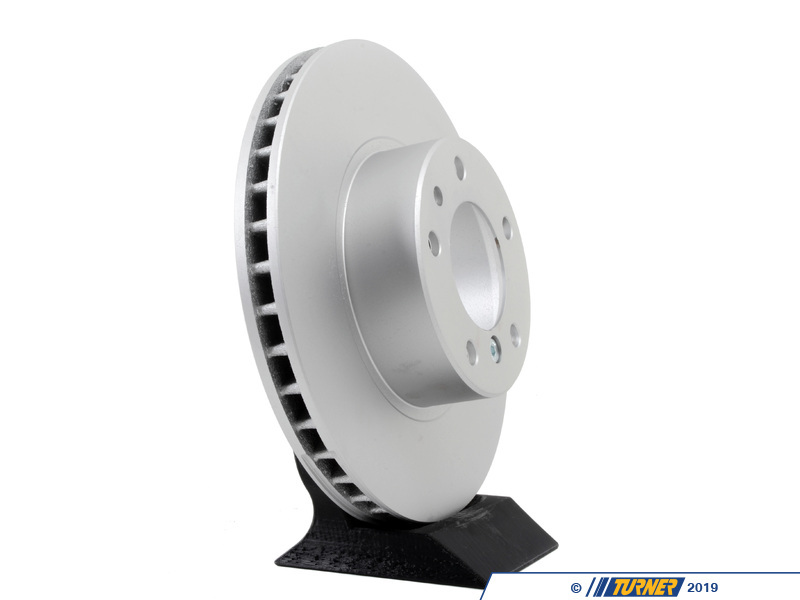 We like these rotors a lot because the quality is very high and the entire rotor is dip coated with anti-corrosion layer to prevent rust on the hub and in the cooling vanes, while the Zimmerman are only spray coated. 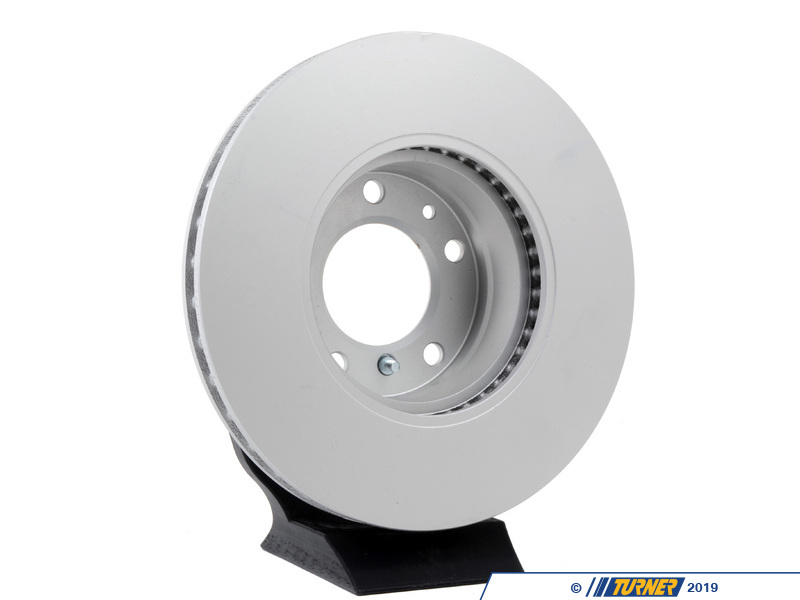 Zimmermann Coated - an OEM type rotor made to the same dimensions and specs as the original design. These rotors also have a high carbon content. These are high quality and spray coated with anti-corrosion layer to prevent rust on the hub and in the cooling vanes.